On October 15th, on a 8-2-1 vote, The Austin City Council instructed Austin Energy to purchase 450 MWs of solar power now and to build or buy another 150 before 2019. This will put Austin Energy's solar portfolio somewhere in the 850 MW area with 750 MWs of west Texas solar and perhaps another 100 MWs of local solar. And, it represents a substantial compliance with the recommendations of the Austin Generation Task Force in July of 2014. But it came about only after a lot of work from the broad community and pressure from the Electric Utility Commission. For it was the EUC resolution that cleared Council to get Austin Energy to release the RFP for the 600 MWs of solar that was required in the adopted gen plan of December 2014. That request went out on April 8th. 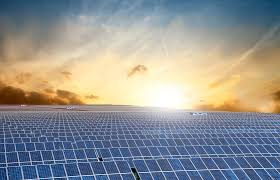 Austin, Texas – Austin Energy today issued a Request for Proposals (RFP) that includes options for both power purchase agreements and direct ownership for up to 600 megawatts of solar generation. Proposals are due by May 15, 2015. The RFP is available on Austin Energy’s Web site at www.austinenergy.com. Acquiring up to 600 MW of utility-scale solar is a major component of Austin Energy’s recently adopted Resource, Generation and Climate Protection Plan to 2025. The plan sets a goal of delivering 55 percent of all of Austin Energy’s electricity to its customers from renewable energy sources by 2025. A good telling of the story from the perspective of the Sierra Club can be found here. But my telling is more personal. As the Chairman of the Electric Utility Commission that pushed the solar purchase through a half dozen votes and the Chair of the Generation Task Force that provided the original 600 MW recommendation, my story is one of a once progressive utility and leader in the fight against climate change to a Utility that had returned to the dark ages of utility management and vision... and of the City leadership that overcame it. Originally, when the Generation Task Force made it's recommendations, the Utility said it would cost billions of dollars. In truth, it will save money for our rate payers from day one. When the bids were received at prices below 40 dollars/ MWh, the Utility then argued that it was not prudent to buy the 600 MWs because solar prices would go to 30 dollars/MWh in a few years and we would have buyers remorse. Yet, when they compared the price of the natural gas plant that they wanted to build, they compared the price of the Gas Plant with higher solar prices than the prices they were predicting in their buyers remorse arguments. The night before the big vote, I met with the Mayor, a council member, other staff members and the Mayor's representative on the Electric Utility Commission. We worked for 3 hours trying to come up with a path that took advantage of the great pricing represented in the offers, the needs of our customers both big and small, and the demands of our consumer and environmental communities. And even though we went through most of our old ideas, and a few new ones, I can say that when I left that night, I didn't have the answer. Later that night, during a dinner with a former EDF senior staffer, I pondered the events of the next day, and answered the calls of those who were anxious to know what the plan was. The truth is, we didn't have one yet. Then, the next morning, one of the most experienced environmental/consumeristas in the region, if not the country, called me and told me he was going to talk to the Mayor. At the time he was in Indiana. I told him to text him first. As I was driving to City Hall, he called. "We've got a deal" he said. The Mayor has agreed. I listened and it sounded good to me. I had the sponsors office type up the amendment. And I ran it by them. Just before the Council meeting convened, I walked up to the dias and to the Mayor. Is this our deal? I asked. He turned it around and added one word and turned it back to me. I nodded. We shook hands with our eyes. The motion with one more minor change passed. That would get one R.
We have a really good Mayor. And a Council we can be proud of. And a Utility that needs to come home.